Are you in charge of the hen do? 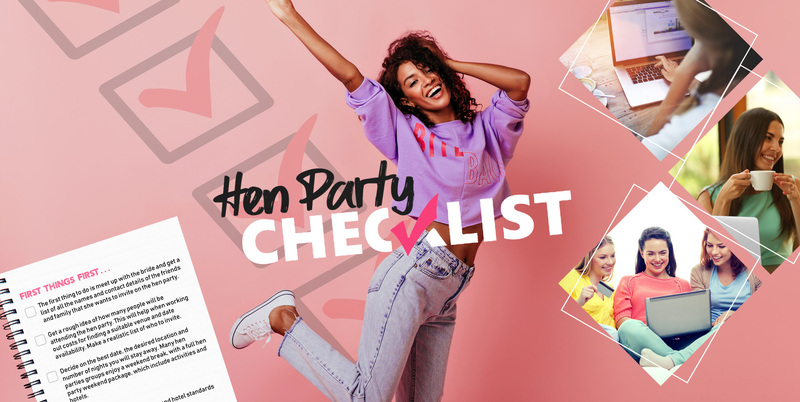 Take some of the stress off your shoulders with our free hen party planning checklist, packed full of advice, tips and ideas. We've organised 1000’s of hen parties in the past, so we know a thing or two about them! Whether you are planning your own hen party or the respon­sibility has been bestowed upon you as chief bridesmaid, this checklist is sure to help. Write on our wall "I would Like the Hen Party Planning Checklist"